In this issue we look at handling unprofessional staff behavior. It’s the toughest part of managing, but we can help you. Also, stay up to date with the latest industry information and resources, we have many training classes coming up to help you and your staff maintain their professional knowledge and growth. OCC Partners is dedicated to helping fellow health care professionals, give us a call if you would like to learn more about any of these programs or classes: 763-544-1000. 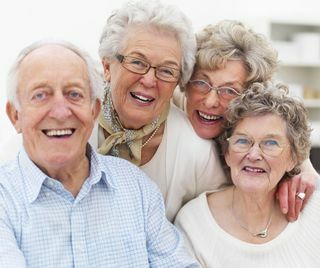 We often read about the following issues occurring in senior care communities. Sound familiar? Most managers report that the toughest part of their job is getting other people to do what they are supposed to do. It is often the most challenging part of management, and for many managers, the most thankless part of the job. In the current environment of low unemployment, it is especially challenging, since managers prefer to keep whatever staff they have, rather than lose staff; even if the staff they have are not doing an optimal job. However, careful decisions are critical to protect your residents, your organization, and you! How would you handle these issues? Some managers tell us that they feel held hostage to staff that have performed poorly, but they have no one to replace them. Or they are concerned that by letting them go, there will be another reason for legal issues. Sometimes, managers are counseled to keep the staff member on payroll by legal representation or corporate advisers. An important first step is to have a disciplinary review process in place, and use it. At the review always have two people present that represent the company. Set goals, expectations and a timeline for the improvement plan. Follow up as scheduled to review progress. There are many more details to handle these functions well. In a busy day, it is difficult to find time to supervise issues, but accountability is the key. It protects you and your organization from future problems. 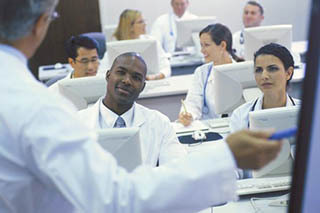 If you would like to use On Call Clinician’s Disciplinary Review Plan or Disciplinary Review Policy, please contact us. We would be happy to help your staff functioning professionally and your management reduce risk. Call On Call Clinicians to assist with recruiting, managing the hire process, drug screen, background checks, references and be your consultant resource on employment-related issues. Be prepared for tougher and more frequent reviews. As regulations change, diligence and planning are important. Training for Nurses. By equipping Nurses with valuable training tools, you can count on quality care delivery. This is a great way to increase their knowledge base. Do your staff understand when to properly and legally execute DNR / DNI / POLST / Living Will Essential information to support residents and communities? 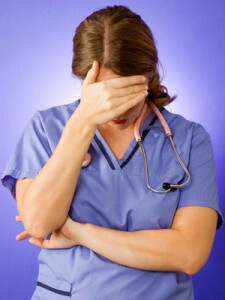 Staff shortages are significant — keep the staff you have! Increase staff retention and decrease employee turnover: turnover costs 20-100 % for each hire! Protect your investment — well trained staff are happier and stay longer. Do you provide on-boarding training, employee reviews, exit interviews? How do you handle disciplinary issues? When is it legal to drug screen after hire? What do you do if an employee accuses your organization or another employee of an issue? How do you manage your ongoing employee file needs? Your human resources are your largest expense! Manage well and you will save legal expenses, have better retention, and improve occupancy. Training and management are both available — Let On Call manage it all for you! Do you know your costs for each new resident? Do you know if your marketing dollars are wisely deployed? How can you reduce your marketing expenses AND increase your occupancy? On Call’s training and tools are very effective! Your best assets to maintaining happy residents, increase occupancy, and decrease turnover is training. Save money by our ongoing program. Questions about employee issues — we can help! On Call Clinician’s Mobile Medical Team provides community-based care to senior living sites throughout the metro. 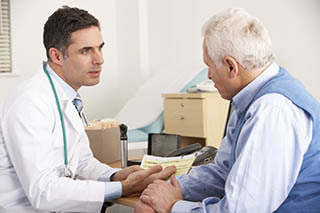 If a patient has a change in condition, a care provider can be notified and can assess the situation. Depending on the situation, we can coordinate treatment. Orders can be written, a mobile lab or x-ray can perform the necessary work. Depending upon the situation, many patients can receive treatment without leaving the comfort of their own apartment. The communities do not have to worry about coordinating transportation to and from clinics or calling family members to help. Our providers’ special skills are also helpful for wound care, cardiac, hospice & palliative care. This decreases frequent visits to outside clinics, and has proven to be maintain resident occupancy for longer periods and avoids any unnecessary hospital stays. In this issue we’ve outlined some of the benefits our mobile clinic provides to Senior Communities. Mobile clinics are a great way to expand services to senior residents improving their quality of life and staff satisfaction and retention. Stay up to date with the latest industry information and resources, we have many training classes coming up to help you and your staff maintain their professional knowledge and growth. OCC Partners is dedicated to helping fellow health care professionals, give us a call if you would like to learn more about any of these programs or classes: 763-544-1000. 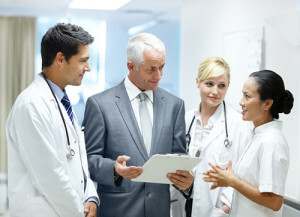 Do you benefit your residents by providing care coordination? On Call Clinicians’ Mobile Clinic can provide an excellent Care Coordination program for you. Your residents deserve the best healthcare you can give them. By bringing healthcare to them, you show you care!